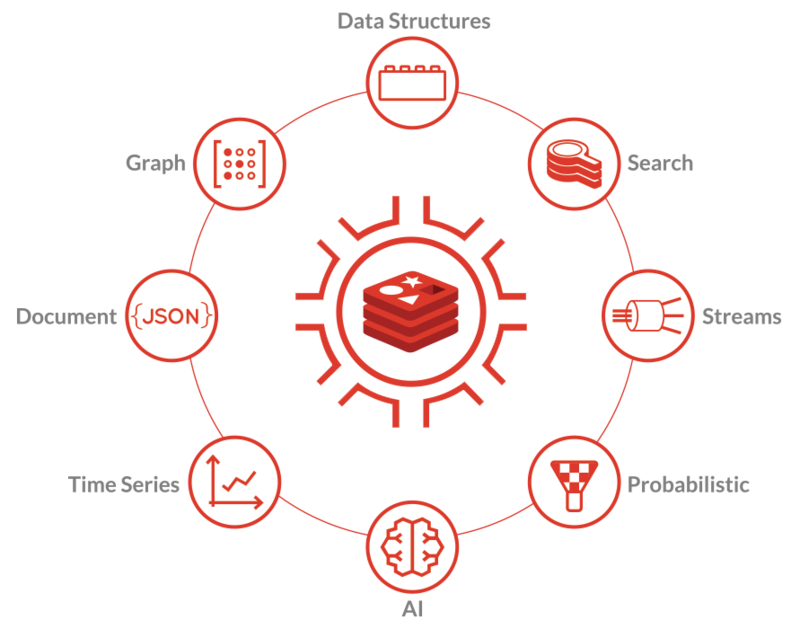 Combine the advantages of world-class database technology and the innovation of a vibrant open source community with Redis Enterprise. Gain pioneering high availability in the form of Active-Active and Active-Passive geographically distributed architectures, superb linearly scaling high performance and top-notch built-in search capabilities. Extend Redis databases to Flash SSDs for infrastructure cost-savings, and utilize your hardware to the maximum extent with Redis Enterprise. Grow your Redis databases efficiently with seamless scaling, automatic sharding and instant automatic failover. Redis Enterprise not only encompasses tunable levels of persistence and durability but it is also with reinforced with security controls, backups and auto-recovery. Redis Enterprise delivers exceptional linearly scaling high performance with its distinctive shared nothing cluster architecture, automatic re-sharding and rebalancing to utilize your infrastructure to the best possible extent. With enhanced connection management and request scheduling, high-performance pipeline execution and cluster support for every client, Redis Enterprise provides best-in-class performance with the most efficient use of your hardware resources. Redis Enterprise offers multiple modes of high availability and geographical distribution including active-active, active-passive and active-read replica. Active-Active geographic distribution is unique in its implementation of cutting-edge conflict-free replicated datatypes (CRDTs) that simplify development and deployment of distributed applications while automatically and intelligently handling simultaneous operations on complex data structures. Unlike other Redis services, Redis Enterprise offers automated zero-downtime scaling completely transparent to users and uninterrupted high availability, with diskless replication, instant failure detection, and failover across racks, zones, geographies. Redis Enterprise also provides an enhanced data persistence layer that allows for tunable durability and consistency and a full suite of backup and disaster recovery options. Redis Enterprise, a fully durable database, provides multiple persistence options (AOF per write or per second and snapshots) with no impact to performance. Redis Enterprise is an ideal choice for cloud deployments where persisting to network attached storage guards against the ephemerality of instance storage and for on-prem deployments, where its storage engine enhancements maximize performance. Redis on Flash offers the cost-effectiveness of Flash, with the blazing fast low latencies of Redis in RAM, by using an innovative tiered approach that places hot frequently accessed data in memory and colder values in Flash. With large datasets, this approach can save you over 80% on infrastructure costs alone. Even when running Redis in RAM, additional savings incur with Redis Enterprise because it allows you to run multiple Redis instances on the same server, utilizing all the cores more efficiently than single-threaded Redis can. Redis Enterprise offers full ACID compliance, with its support for MULTI, EXEC, DISCARD and WATCH commands, which allow for serial, sequential execution of transaction components as a single operation. With built-in persistence options, Redis Enterprise allows for tunable durability at minimal expense to performance. Redis Enterprise offers multiple database authentication and authorization mechanisms, encryption of data in transit and data at rest, while providing tracking and logging of admin actions for forensics. Separation of data and administrative paths simplifies compliance and ensures production data is isolated from administrative access. Redis Enterprise provides full automation of day to day operations for your Redis databases, with deep visibility into important Redis metrics, triggers for auto-balancing of Redis clusters and resharding seamlessly without impacting any applications. The same team that develops Redis and Redis Enterprise offers round the clock support for all your Redis issues. Redis Enterprise can be deployed on a platform of your choice. With flexible deployment options, Redis Enterprise can be deployed on all major cloud platforms, on-premise on your infrastructure of choice, on containers or in a hybrid model. Redis Enterprise is also available and can be deployed on Kubernetes and is available as a native service on platforms like Pivotal Kubernetes Service (PKS). Redis on Flash is suitable for use cases in which the dataset size is above 100GB, the values are larger than the keys and “hot” objects (key/value pairs) account for 10-40% of all objects. Redis on Flash offers tremendous savings over RAM for large datasets. The range of savings you can expect will vary depending on data size and throughput. The table below describes the maximum throughput at which you can cut costs by 50% for typical dataset size scenarios. Figures are calculated for AWS, but are indicative for most other clouds/ data centers. You can also calculate cost savings specific to your scenario using the calculator below.